Right, well I’ve been busy sewing up a storm this month, but all on one project which I’m doing to an insanely fine finish. French seams galore! And I’m still not quite finished! 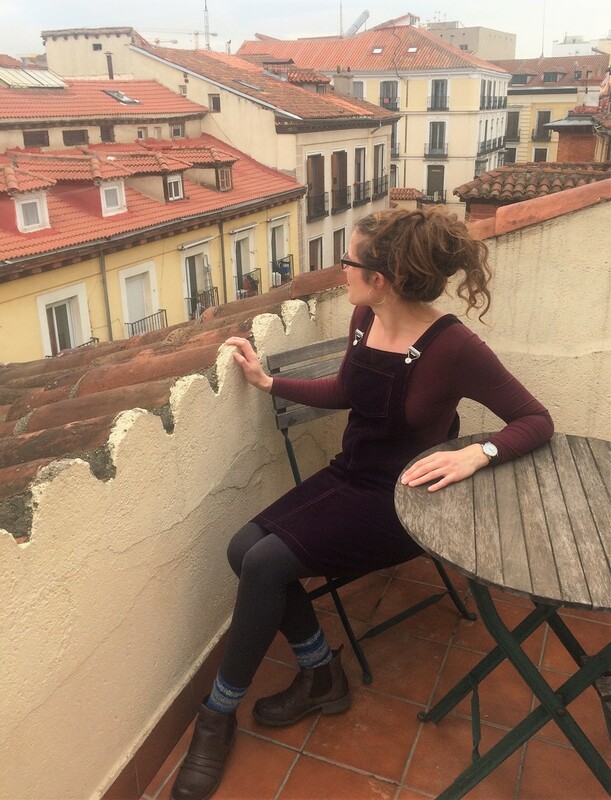 Like with my recent Moneta dress post, these photos were again taken on our glorious roof terrace during last month’s trip to Madrid. A cute but very practical dress–ideal for chasing about after toddlers! 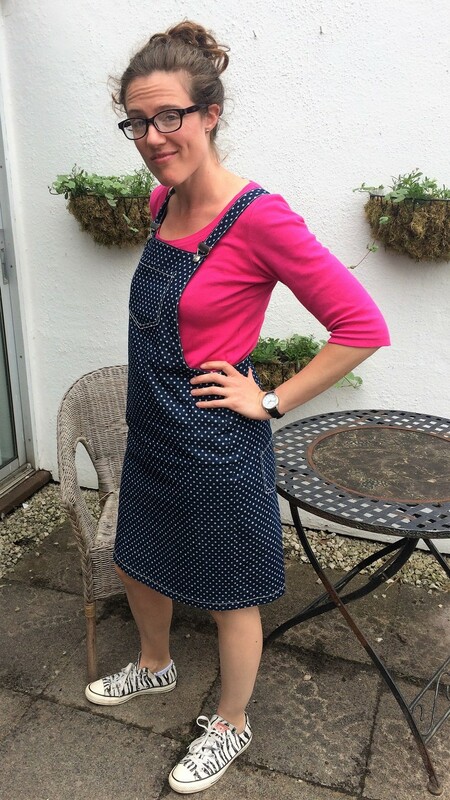 The Cleo Pinafore and Dungaree Dress from Tilly and the Buttons. I sewed the knee length version with the split and used two back pockets and one on the bib.